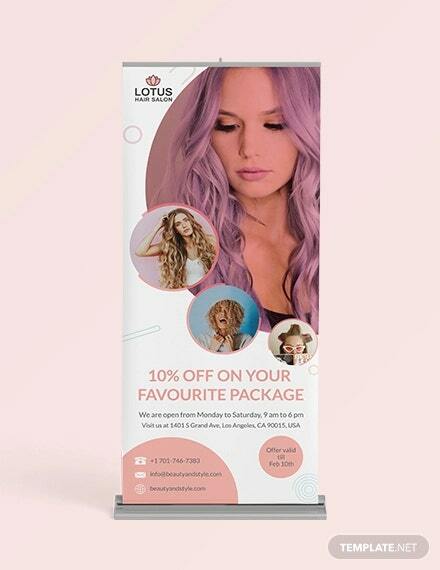 You need to create postcards, banners, billboards, flyers, brochures, and many other things that will be approachable to your potential customers. 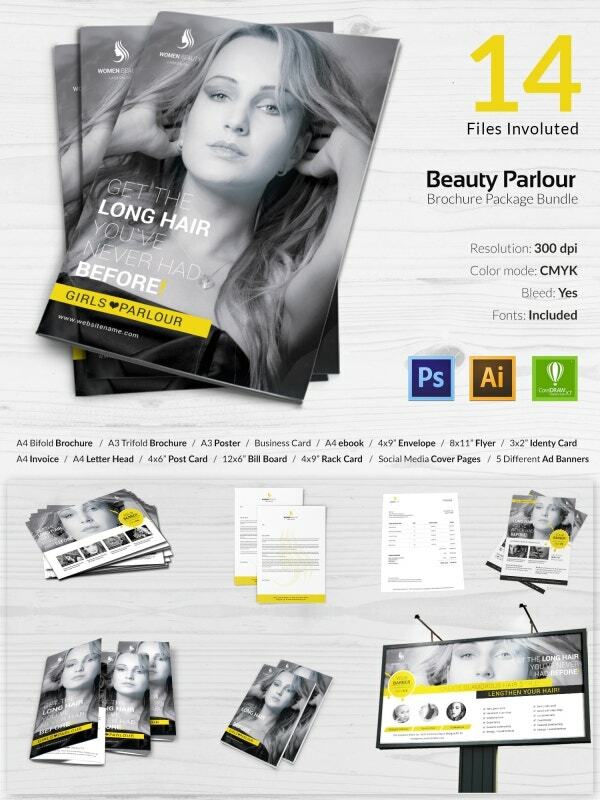 You can also see Beauty Parlour Brochure Template. 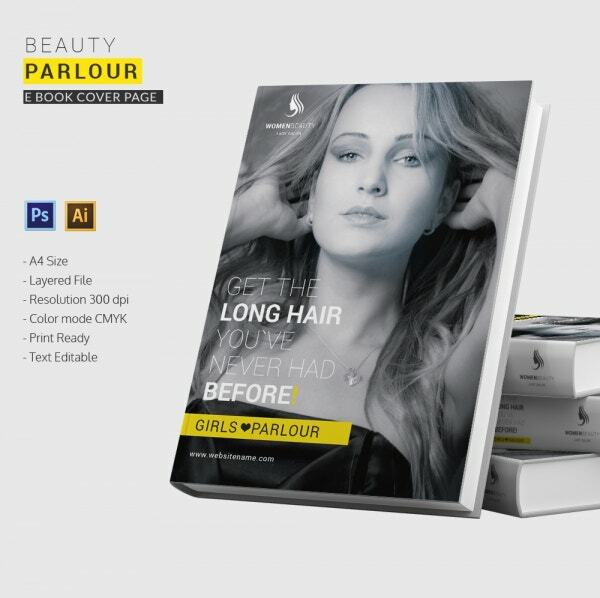 This is a template of a 3-folded brochure the front design of which consist of a well-groomed picture of a model, company’s name and logo with a few additional details about it. Here you can insert details about the company’s origin and many other details and use the back cover to write about the services it provides and the contact details. 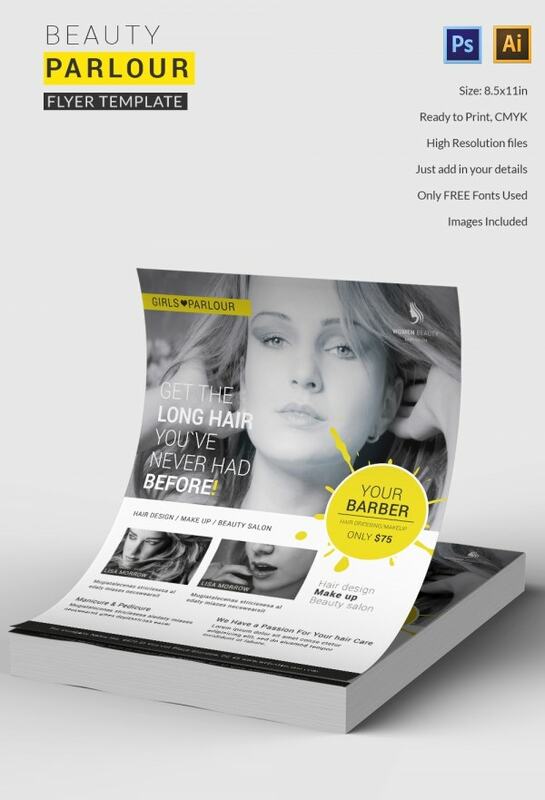 This is a two-fold or a bi-folded brochure of a beauty parlor .You can customize this template to insert your own text and other features and get it printed easily as the file is of high-resolution. 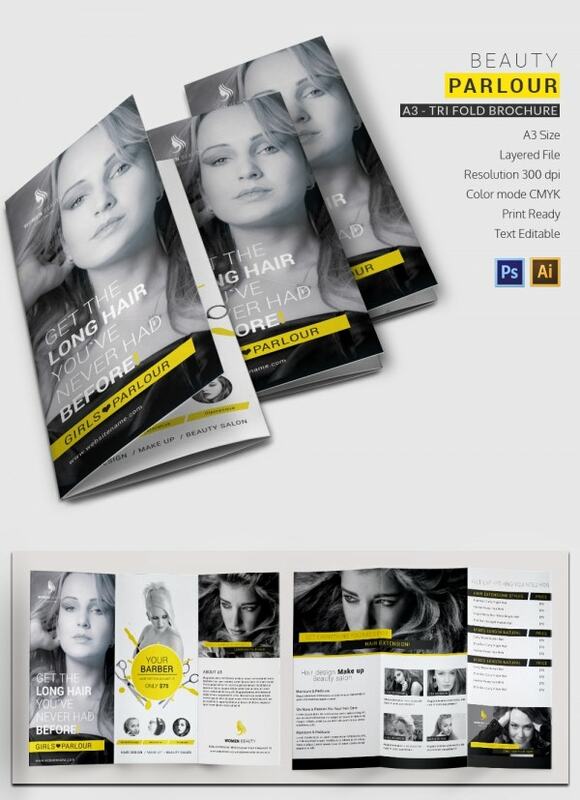 The template is compatible to be used in software like Photoshop, Illustrator, and Corel draw. 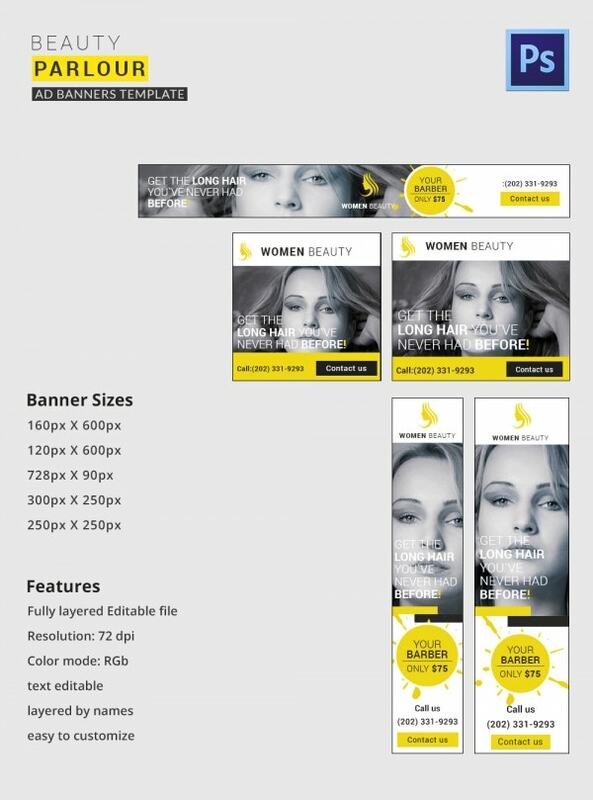 These yellow colored serene looking banner ads are fully editable. 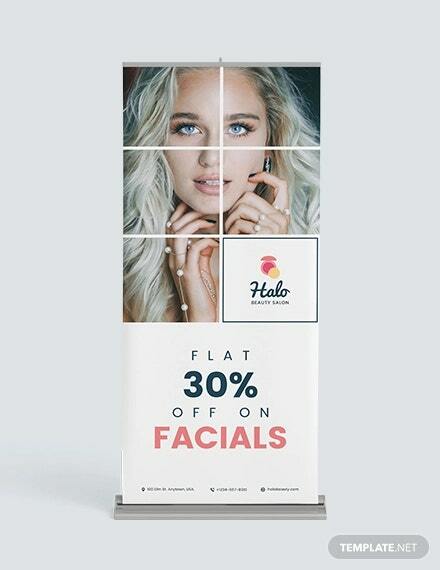 You can create banners of various sizes like 160 x 1600-px, 120 x 600-px and many other sizes. The file bundle has fully editable layers and is easy to customize. The resolution of the file is 72 dpi and color mode is RGB. 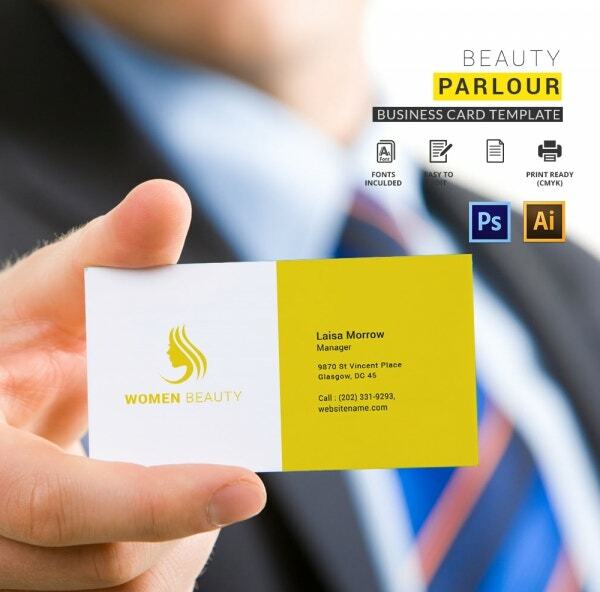 Now you can create chic and professional-looking business cards by editing this template according to your own needs. 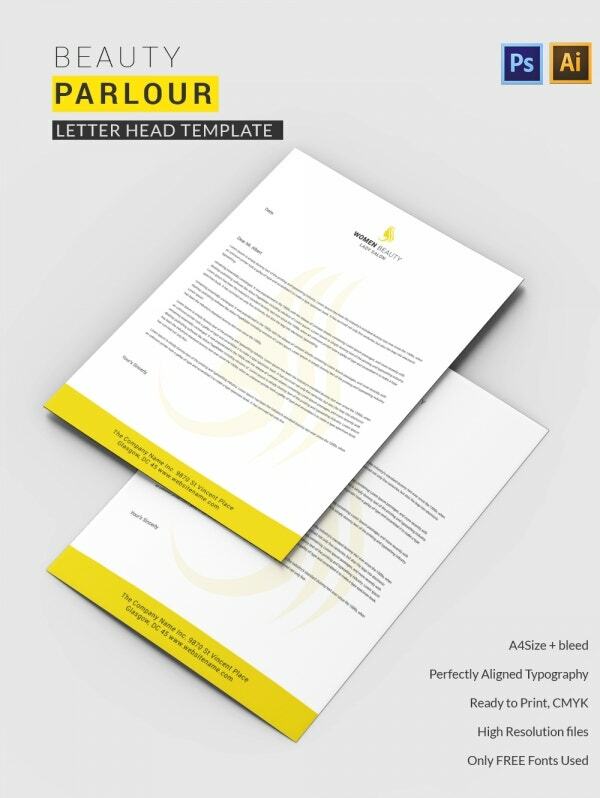 All you need to do is insert your company’s name and logo on the left side and the rest of the contact and address details on the right side of the template. You can use this template to create a professional and welcoming sort of e book cover. The dimensions of the file are similar to that of A4 size and the template can be edited easily as it is available in layered form. All you need to do is customize it on your own using Photoshop or Ai. 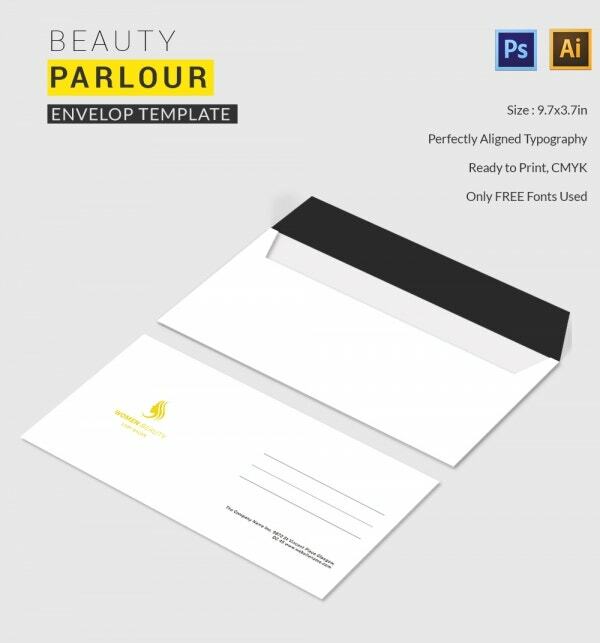 This particular envelope template has a formal and serious look to it. The right-hand side of this file contains horizontal blank lines where you can write down the receiver’s address and the lower end would consist of the address of your parlor. Such envelopes are to be used for sending mails to vendors, dealers, and potential customers. 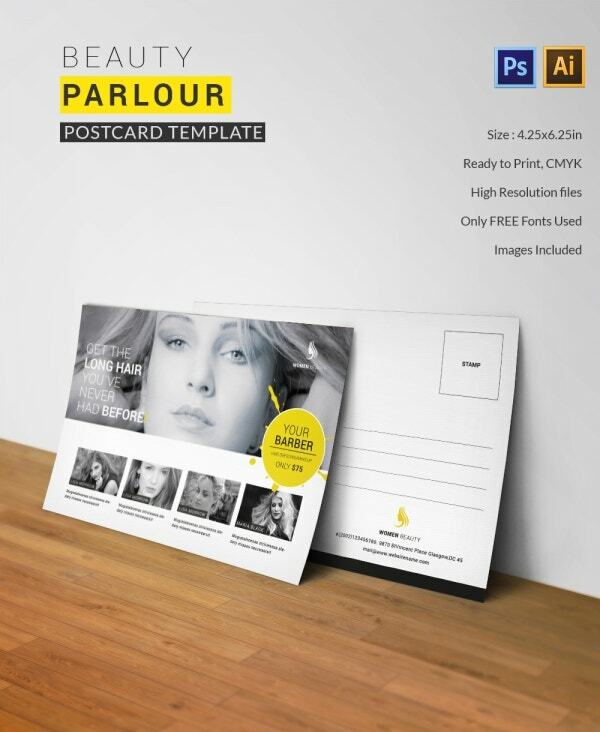 You can print multiple numbers of legible, crisp, and clean-looking flyers by using this particular template. This particular file is print-friendly as it comes in CMYK mode. Just add your text, images, company address, offers, and logos using Photoshop or Illustrator and you are good to go. This template of ID card has a professional yet chirpy vibe to it. 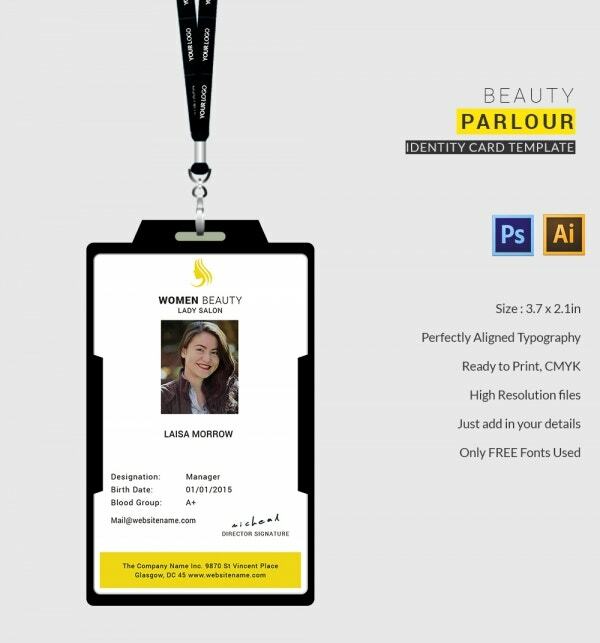 You can use this file to create ID cards for the employees of your parlors and distribute among them. All you need to do is edit the images and the text using Photoshop or Ai. This template looks quite simple and professional. All you need to do over here is insert your company logo at the left-hand corner and the customer’s address right below it. The middle portion is meant to be used for writing down the items names, their quantity, and price and the final amount. You may also see Invoice Templates. 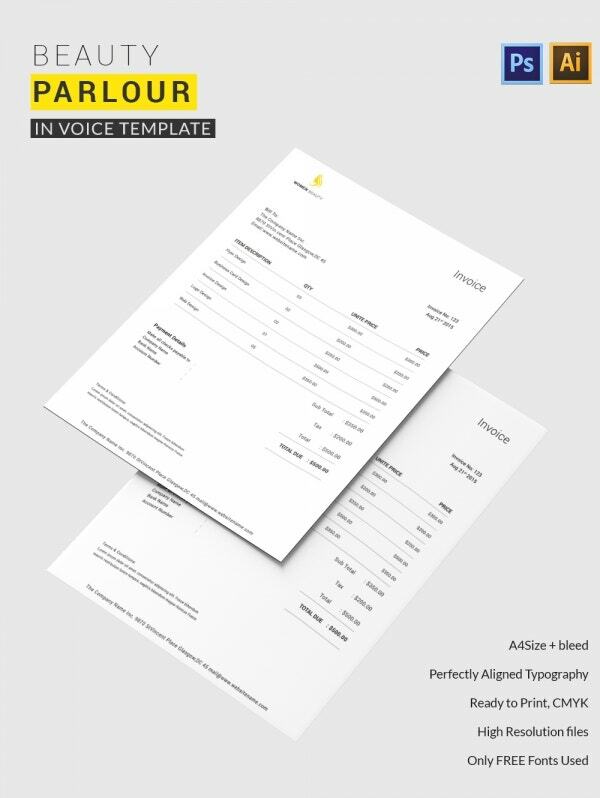 This is a typical letterhead template on the center of which you can input your company’s logo and name, and at the bottom of the file, you can add the address and other contact details. A minimum use of borders helps in keeping enough space in the middle where you can easily write down your mail and other sorts of company related details. 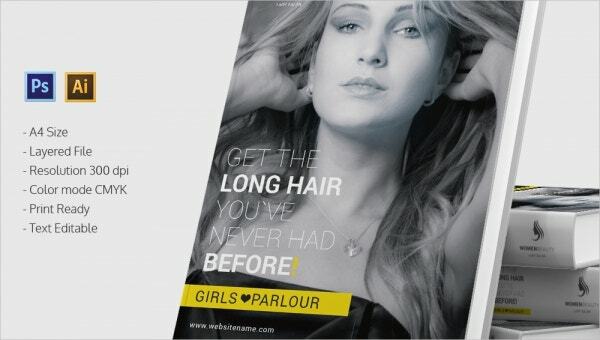 You can use this template to create different sorts of postcards for your beauty parlor’s clients. All you need to do is edit the text and use your own set of images if you have any and also don’t forget to mention the type of discounts and services you have to offer. 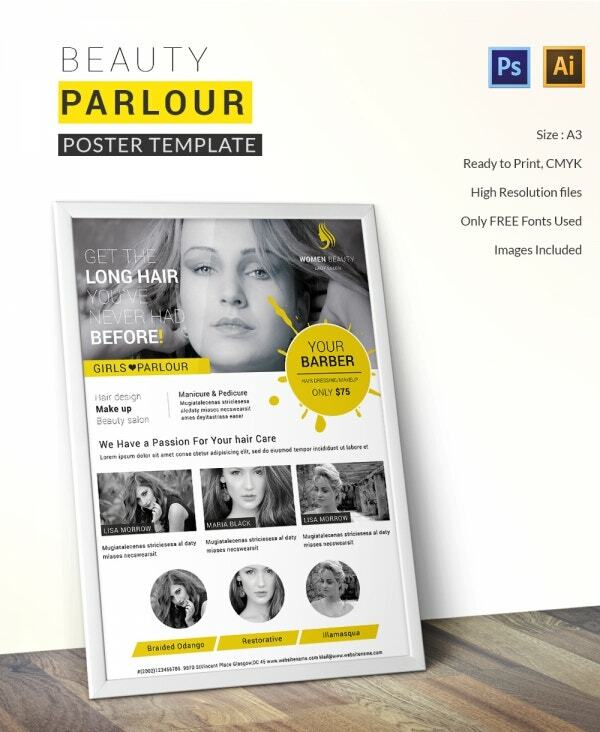 This poster template consists of enough space to be used to write down the company’s name, logo and other details. You can also add if any offer is going on as well as the services it will cater to. Print the A3 sized papers easily and put it to use. 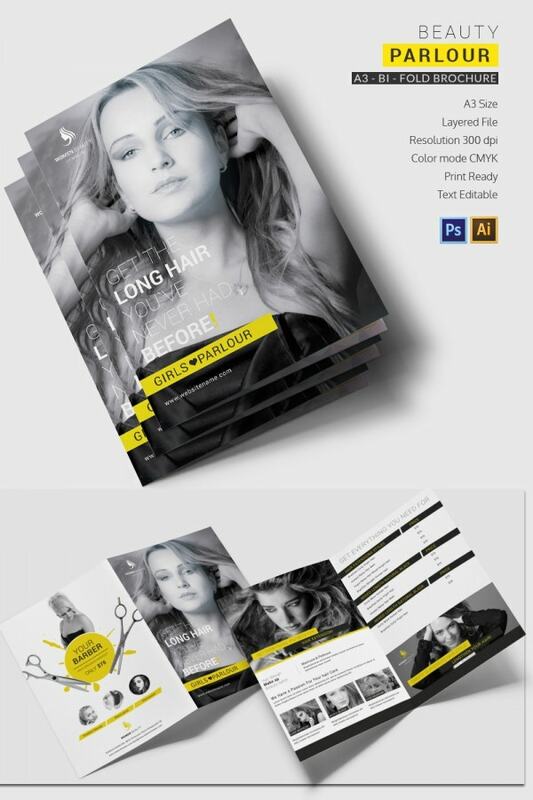 This particular template bundle consists of cover pages meant to be used on social media sites like –Facebook, Twitter, and YouTube. You can easily edit and customize them in terms of text and personalized images by using Photoshop only. So what are you waiting for? Be done with the cover pages and start marketing. 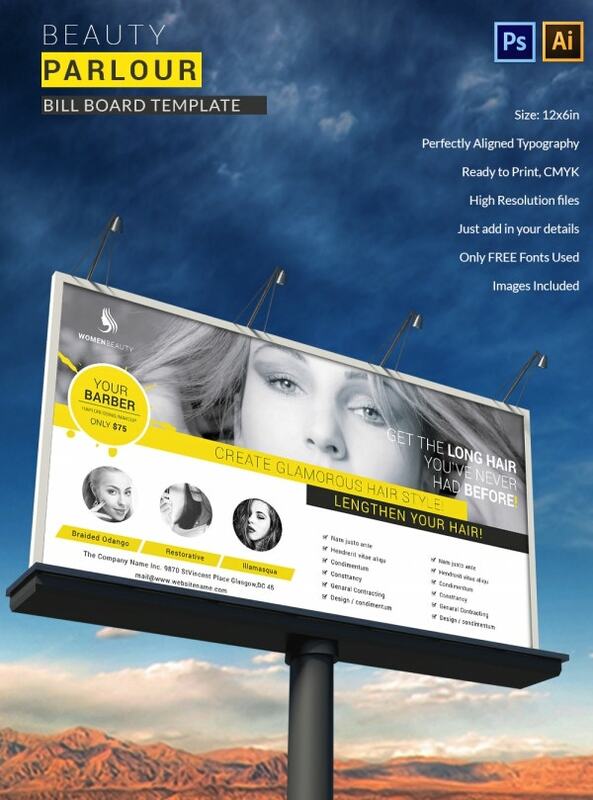 You can use this template to create billboards of 12 x 6-inch dimension. This file has perfectly aligned typography and can be easily printed because it comes with a CMYK color mode. All you need to do is change the text and images using Photoshop or Illustrator. Just add in your details and be done with it.